Here are the Top 3 in each game after November’s Ranbat. Hi guys, the fourth iteration of South Australia’s fighting game major Southern Cross Championship (#SXC2016) happens on December 2-4, occupying two floors of The University of Adelaide. -$1000 pot bonus for SFV courtesy of Steelseries and $1000 worth of prizes for the whole event. Register now at http://safgc.org/ ! 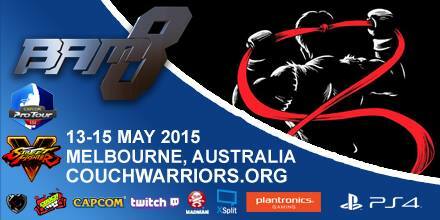 It will be an awesome event in Radelaide, so see you guys there!